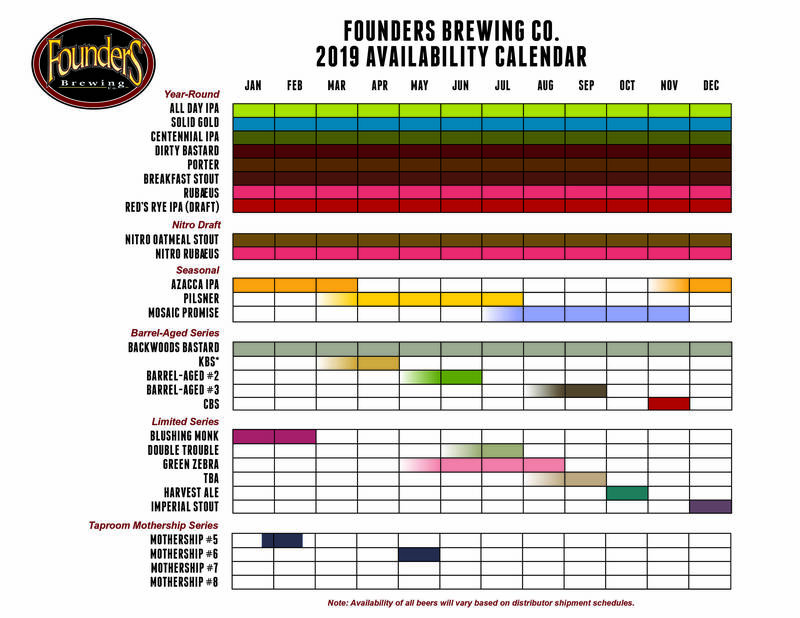 GRAND RAPIDS, Mich. – Founders Brewing Co. announced their 2019 availability calendar today, confirming changes and additions to the brewery’s lineup, including the return of a couple of fan-favorites. To view the 2019 Availability Calendar click here. The 2019 calendar also reflects the addition of 12-pack bottles of All Day IPA. Those will start shipping in late January/early February. Additional beers, including the remaining Barrel-Aged Series beers, the third Limited Series beer and all taproom Mothership Series beers will be announced throughout the year, closer to their release dates.